Clare Walker Leslie shows kids how to experience nature with all five senses, whether they live in the countryside, a major city, or somewhere in between. 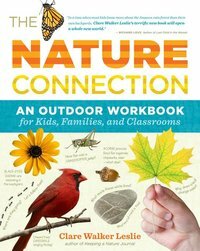 Guiding children through inspiring activities like sketching wildlife, observing constellations, collecting leaves, keeping a weather journal, and watching bird migrations, The Nature Connection encourages kids to engage with the world outside and promotes a lifelong love of nature. 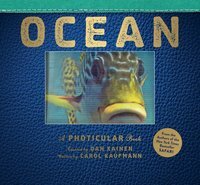 The text by Carol Kaufmann enchants with its descriptions of coral reefs; a journey on Alvin, the 17-ton submersible; and a meditation on our oceans. Then, for each creature, she writes a lively and informative essay, along with vital statistics--size, habitat, range, diet, and more. The Photicular process uses an innovative lenticular technology, sliding lenses, and original four-color video imagery. The result is like a movie in your hands--the dance of life in a book. Waterford Press understands the importance of teaching our children well. We also know that learning can be enhanced when information is presented in an entertaining format. 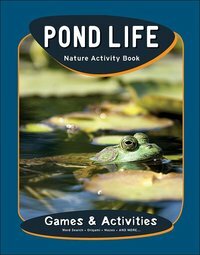 Designed to complement the curriculum for grades 3-5, our Pond Life Nature Activity Book features a variety of creative activities and games, word searches, crosswords, quizzes, origami, mazes, puzzles and drawing/coloring activities, to encourage interest and engage children in nature and the natural sciences. A New York Times bestseller, Safari is a magical journey for the whole family. Readers, as if on African safari, encounter eight wild animals that come alive using never-before-seen Photicular technology. Each full-color image is like a 3-D movie on the page, delivering a rich, fluid, immersive visual experience. The result is breathtaking. The cheetah bounds. The gazelle leaps. The African elephant snaps its ears. The gorilla munches the leaves off a branch. It's mesmerizing, as visually immediate as a National Geographic or Animal Planet special. Accompanying the images is Safari, the guide: It begins with an evocative journal of a safari along the Mara River in Kenya and interweaves the history of safaris. Then for each animal there is a lively, informative essay and an at-a-glance list of important facts. It's the romance of being on safari--and the thrill of seeing the animals in motion-- in a book unlike any other. This gorgeous and lyrical picture book from renowned science author Laurence Pringle and debut illustrator Kate Garchinsky follows a year in the life of a red fox named Vixen as she finds food, hunts, escapes threats, finds a mate, and raises her kits--all the way to the day that she and her mate watch their kits head off to lead their own secret lives. Stunning, realistic illustrations celebrate the beauty of these mysterious creatures as readers learn important facts through an engaging and fascinating story. The book also includes back matter with more in-depth information, a glossary, and further resources. The award-winning team of Jenkins and Page presents fun and fascinating science facts in this stunningly illustrated nonfiction picture book about such animal sibling relationships as anteaters, armadillos, falcons, hyenas, and many more. Full color. Did you know there are zombie bugs that not only eat other bugs but also inhabit and control their bodies? There's even a wasp that delivers a perfectly-placed sting in a cockroach's brain and then leads the roach around by its antennae -- like a dog on a leash. Scorpions glow in ultraviolet light. Lots of bugs dine on corpses. And if you want to know how much it hurts to get stung by a bullet ant (hint: it really, really hurts), you can consult the Schmidt Sting Pain Index. It ranks the pain produced by ants and other stinging creatures. How does it work? Dr. Schmidt, the scientist who created it, voluntarily subjected himself to the stings of 150 species. Organized into thematic categories (Everyday Dangers, Unwelcome Invaders, Destructive Pests, and Terrible Threats) and featuring full-color illustrations by Briony Morrow-Cribbs, Wicked Bugs is an educational and creepy-cool guide to the worst of the worst of insects, arachnids, and other arthropods. This is the young readers adaptation of Amy Stewart's bestselling book for adult readers. An opening essay explores the environmental and economic threats to animal populations and how conservationists are working to slow--and when they can, reverse--the damage. Profiles of each animal accompany the images. Wild joins four other books in the Photicular series--Safari, Ocean, Polar, and Jungle.